space (tables). As a consequence, an ER diagram is overly complex, and is a demerit to itself. DMs from an ER diagram, and this consists of four steps. of detail of the warehouse. analyzed are gathered into fact tables. Let's discuss each of the steps in detail, one by one. A business process is a major operational process in an organization. Typically supported by a legacy system (database) or an OLTP. § Examples: Orders, Invoices, Inventory etc. DM as being data mart oriented. invoicing, inventory, and general ledger etc. development , data management and disk storage issues as well. schemas. 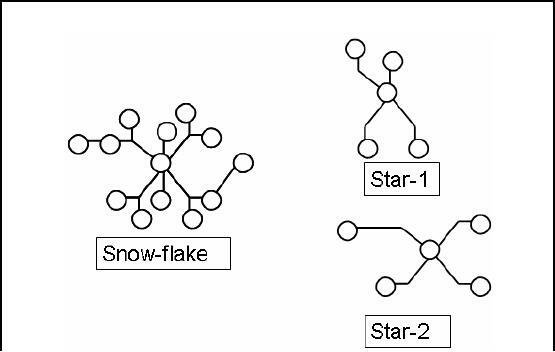 Note that as the processes move into the star schema all the hierarchies collapse. Grain is the fundamental, atomic level ofdata to be represented. Grain is also termed as the unit of analyses. Relationship between grain and expressiveness. system. It is also termed as the unit of analysis e.g. unit of weight is Kg etc. depends on the interpretation of the writer. We will follow the definition as per Fig-14.2. Works well for repetitive queries. Follows the known thought process. Justifiable if used for max number of queries. Provides a "big picture" or macroscopic view. capabilities that some businesses truly require as compared to other businesses. 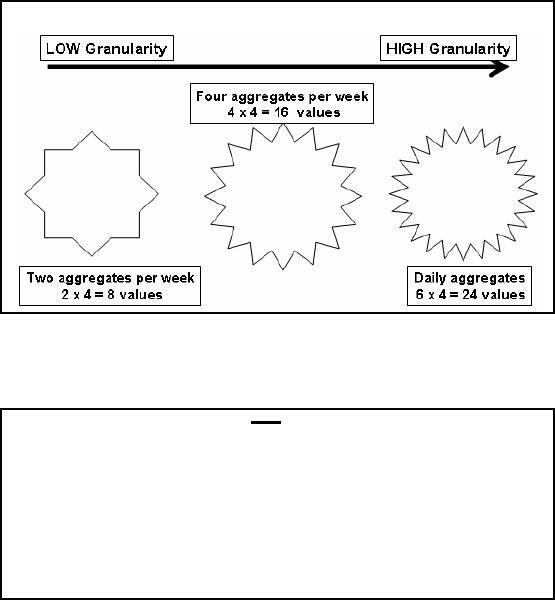 Aggregation limits the questions that can be answered. Aggregation can hide crucial facts. numbers to get the same result. purpose, yet one can take any summary and ask a question that the system can not answer. Just Looking at the averages i.e. values only 8 values are stored i.e. a saving of 50% space. records, shows a very different picture. Z3: Sale is on the rise, why? Z4: Sale dropped sharply, need to look deeply. W2: Static sale across all zones, very unique indeed. interest for the business user. 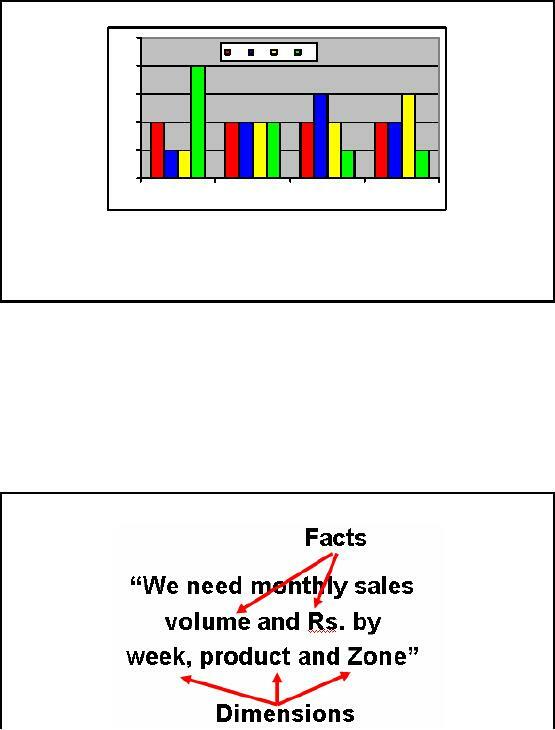 Choose the facts that will populate each fact table record. Remember that best Facts are Numeric, Continuously Valued and Additive. Example: Quantity Sold, Amount etc. Choose the dimensions that apply to each fact in the fact table. Typical dimensions: time, product, geography etc. Identify the descriptive attributes that explain each dimension. Determine hierarchies within each dimension. 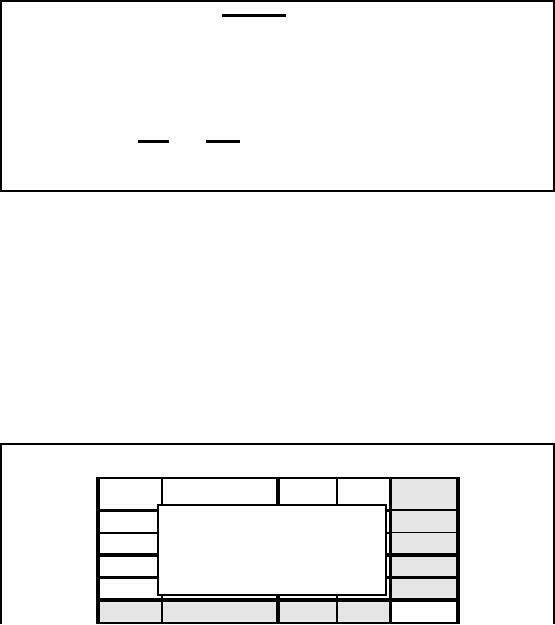 Step-4: How to Identify a Dimension? The single valued attributes during recording of a transaction are dimensions. Time_of_day: Morning, Mid Morning, Lunch Break etc. Transaction_Type: Withdrawal, Deposit, Check balance etc. Table-14.2: Step-4: How to Identify a Dimension? grain of the fact table, then choosing the appropriate dimensions for the fact table is usually easy. What is so special about it, seems to be pretty intuitive, but is not. Step-4: Can Dimensions be Multi-valued? How many maintenance operations are possible? Figure-14.4: Step-4: Can Dimensions be Multi-valued? fact table? If this is conceivable, what problems might arise? upon if the vehicle was insured etc. Maintenance_Operation dimension if you wish to represent this information? Several grains are possible as per business requirement. For some aggregations certain descriptions do not remain atomic. Choose the dimensions that are applicable within the selected grain. transaction per week or the amount drawn per month. 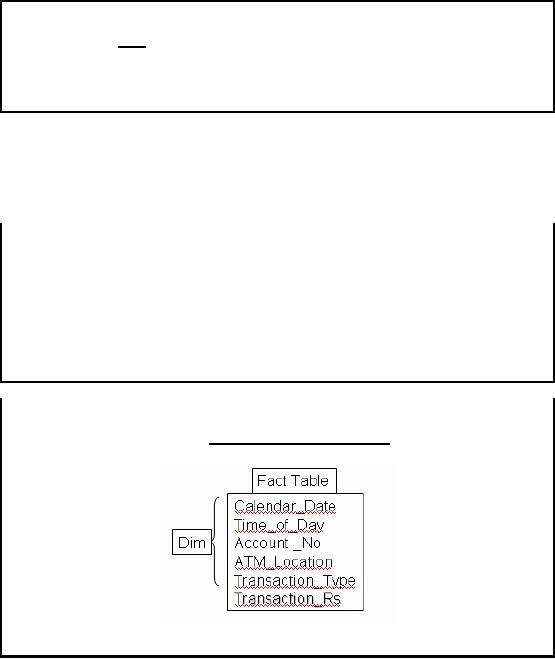 transactions probably only Account _No and ATM_Location can be treated as a dimension. organization is the most dimensional.